An important part of addressing in-work poverty is helping low-paid workers to progress in their careers and move into better work. Step Up is an innovative programme trialling new approaches to help do this. The programme has been running since 2015 and has produced some good outcomes and points of learning for policymakers and practitioners. 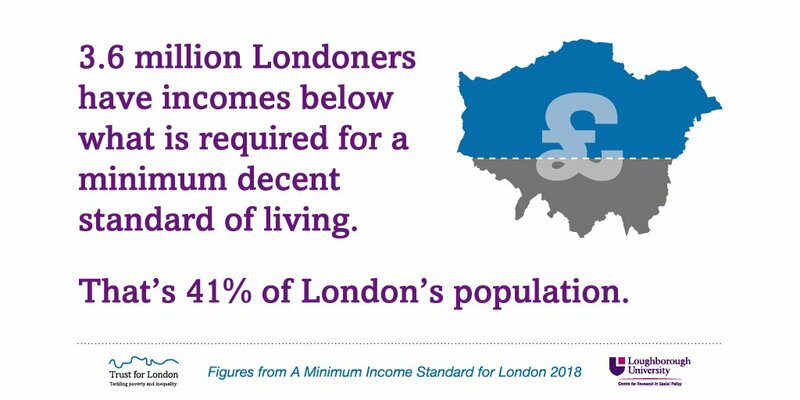 Low pay is a big issue in London and a major contributor to poverty in the capital. Figures from London’s Poverty Profile show that in 2017, 750,000 jobs in London were low paid (paid less than the London Living Wage, which was then £9.75 per hour). Back in 2007 the figure was 420,000 jobs, meaning that there has been a 79% increase since then. London’s Poverty Profile also shows that 21% of Londoners who are employees are low paid and that most Londoners living below the poverty line now come from working households. Despite all of this evidence, there has been little focus to date on programmes to help low-paid workers to progress and secure better pay and conditions. This is what the Step Up Initiative seeks to do. The Step Up programme allows a number of organisations to trial new approaches and to learn what works (and what doesn’t) in helping workers to progress. Step Up is a joint initiative from us and the Walcot Foundation, and as such, the bulk of the activity focuses on Lambeth. The Creative Society: supporting low paid workers in the creative and cultural sectors to progress, particularly young people. High Trees Community Development Trust: Supporting lone parents and over 50s in the Tulse Hill area, together with their partners SR Employment. Indoamerican Refugee And Migrant Organisation (IRMO): supporting low paid Latin American workers in London to progress, particularly cleaners. Springboard UK: helping low paid young people in the restaurant and hospitality sector to progress. Timewise Foundation: supporting low paid parents (mostly women, including many lone parents) to progress. The programme runs until October 2018. We also funded the Centre for Economic and Social Inclusion (now the Learning and Work Institute) to produce one of the first substantial pieces of research to look at low pay and progression: Work in progress: Low pay and progression in London and the UK. We ran a number of meetings, including an Open Space event in Lambeth. Over 100 participants from a wide range of voluntary organisations, employment agencies, local authorities, funders and other civil society bodies attended. Learning and Work Institute also produced an evaluation report on the first two years of the Step Up Initiative which was published in March 2018 (you can read it in full at the bottom of the page). A personalised approach, based on the individual’s needs rather than a set process. One-to-one adviser support delivered flexibly to suit people’s availability, including out-of-hours support. It was also important to use a range of ways to communicate such as face-to-face, phone and email. Coaching and mentoring support to develop people’s motivation and confidence, which were important in keeping people engaged. Helping with employability skills as well as helping with wider issues e.g. with housing, debt or benefits. Partnership working with organisations that provide skills and training support, including specialists such as those supporting communities that speak languages other than English and organisations with links to employers. You can find more information about some of these issues in the Low Pay section of London’s Poverty Profile. We also fund the Better Work Network which draws together organisations working on initiatives tackling low pay and the quality of work in London.